When I first ventured into the future of wardecs with my article Citadels: Rebalancing the wardec system, I had envisioned that their addition to the game would change wardecs, and so I explored some of the problems with those mechanics by forming the WarDecProject. Until EVE:Citadel is fully released these problems remain. However, recent changes to the watchlist, increased NPC market taxes, jump freighter hull bonuses, as well as restrictions for weapon-systems and Citadel-fitting in highsec, result in a cloudy future for wardecs and all of those involved. Citadels of all sizes will be able to make use of the new fighter squad features, even in highsec, which will likely see them used as training grounds for carrier pilots learning the new controls. War has been nuked, without CCP ever mentioning it. Time to come out the cave and evolve. When you boil it down, the purpose of wardecs is controlled destruction of player assets . Under the current stagnant system, more experienced players have been able to manipulate this mechanic, along with other features – like the watchlist – to such effect, that many wardecs would result in targets simply not logging on, resulting in no kills for either side. It even turned trade-hub wardeccing into camping – the current mechanics support this as almost the only valid way to conduct a wardec at the moment. Aggressors don’t need to go after their content, it will come to them eventually. Many “great whales” are taken down on trade hubs, with zero CONCORD intervention. No content is bad gameplay though. While most might have made use of the watchlist to monitor and avoid the attackers, not everyone did, and that resulted in wars spanning systems, and individuals being hunted whenever they logged in. Now wardecs have been set on a new path that raises concerns about their future execution. When conducting wars, it is common to first gather intel; made easy by tools such as EVEwho and the recently removed in-game watchlist. The trick was to add every player from your target group to your watchlist – mine was filled and emptied many times over. You would send this as a mail to your entire corp. This reduced your chances of missing any PvP content if all targets were on your watchlist. Should your opponent have any POS or POCOs deployed, they will most likely be in a system with active players, also they are tied to moons or planets and never hard to find. Locator agents would then help you find any players who were online, with a simple tick in a box, and often led you to their structures if they had any. That mechanic is so deeply tucked away inside of EVE that I think defenders are often unaware of it. You really have to be a hunter or PvP-focused to know about those agents, CCP don’t make it very clear that they exist. Just another one of those loose ends probably left after a day of rampant feature development that just sort of ‘stuck around’. The in-game channel “locates-r-us” provides a fixed fee service to run a locator on anyone, so the attacker doesn’t even need standings with any locator agents himself. They could be anywhere in space, and had multiple locators running at once, all based on their watchlist and the online-only filter. Seasoned defenders may never visit the system(s) containing their structures during a war and created their own watchlist, which – in many cases – is much smaller than the attacker’s version. Yet, many still try to carry on their activities as normal. A defender going to a structure where they have clear investment in, will always be attractive to an attacker. Those carebears just can’t stay away for one week. Still, sometimes creating reinforcement timers is the best way to provoke some PvP engagement. When a corp suffers a lot of losses during a war, it tends to attract future wars. If your war history shows lots of boring wars with very little activity, that makes you less likely to get agressed in the future. The watchlist as it stood worked both ways, both parties could always remain anonymous to each other. In this manner, the war could blow over without any engagement. Simply by being aware you have X enemies online can dictate what your most likely course of action will be. A quick look at your attackers killboards can show you how active they are and in which systems. War was too easy to avoid and dismiss. Now it will be on your doorstep. The removal of the watchlist feature from the game is changing the playstyle for all future wardecs and for the casual HS corp member. Undocking in New Eden has never been 100% safe, but this should embolden defenders. The fact that you can not be added to a watchlist is pretty much a safety feature for them. Players who only get to play for a few hours each night – enough time over the month to PLEX the account maybe, or they work full time jobs – are no longer going to be targeted as soon as they log in. They were most likely the players who didn’t even have the enemy on their own watchlist anyway, which lead to terrible PvE ship losses and diminished morale. The watchlist has now become become a buddy list, and players may choose to mutually accept seeing each other online. This won’t be participants in a war dec, that’s for sure. Clearly, the current focus of CCP is on capitals and structure playtesting. Engaging the players on such a huge overhaul has been taking up a lot of developer time. The restrictions applied to highsec will make these structures intimidating and resilient to anything but an all out extermination fleet. Without the use of DD’s, AoE weapons, capitals or MJFG’s, a highsec Citadel becomes a different kind of Death Star. In time, the war dec system will evolve into an even more specialist role, where numbers will matter more. Citadels have to be anchored at least 500km from any celestial body (belt, planet, etc. ), but this is still larger than their max locking range (as confirmed by CCP on twitter). All Citadel sizes will be allowed to use the new fighter squads, even in highsec space. Fighters can’t warp to a target or follow a target into warp, and will use the new “RTS” controls. Considering the size of some Citadels, this could make the placement of fighter launch bays an important fitting choice for owners. 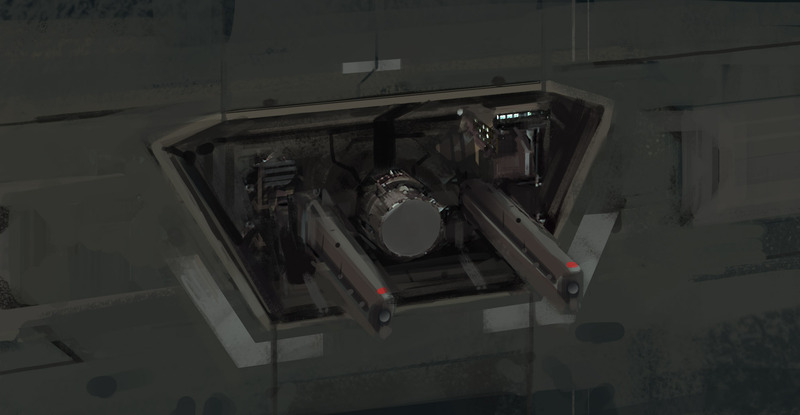 In addition to that, they can use other weapons systems and modules in their defence, making these structures some of the most powerful player built weapons in the game; and you can sit in the driver’s seat! 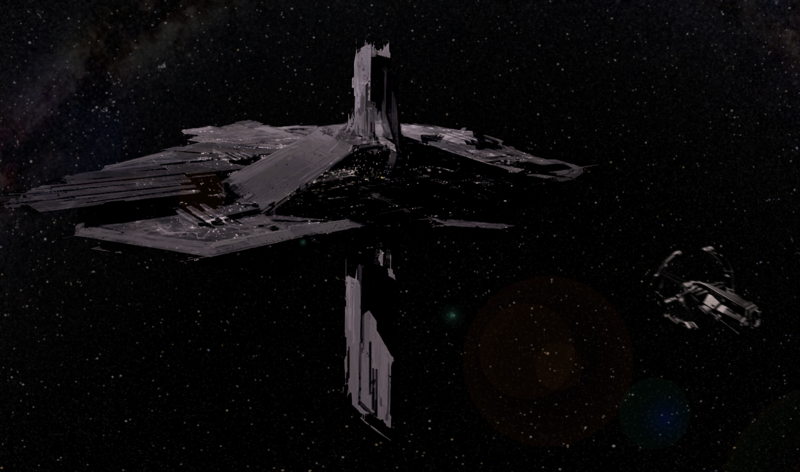 Currently Citadels can be built at starbases, eventually these structures will be removed; increasing the industry demand in already deployed Citadels. Wardeccers futures will essentially focus around Citadels as a primary structure. Perhaps not with the intent of removing the structure, but to find some war targets and possible content. As these structures grow in strength and use, they will become more attractive as war targets. Player investment in defending will be increased if they have manufacturing jobs in progress since input material can drop as loot, even if your BPC’s and personal assets are safe. The first Citadel killmails will likely be in lowsec, null and WH’s. These will be “easier” structures to take down than any highsec Citadel. They have defences available to them, but there are also more powerful offensive modules that can be used against them than in highsec. Regardless of where they are deployed these structures will attract spaceships like moths to a flame. The content surrounding Citadels will escalate while players figure out the optimal combat strategy; either way all that will remain is a mass of wrecks. There will come a time when CCP has to make some tough decisions about removing NPC stations and pushing players into Citadels. If these stations remain, players will simply stay there to avoid any chance of asset recovery fees or delays in releasing their assets. 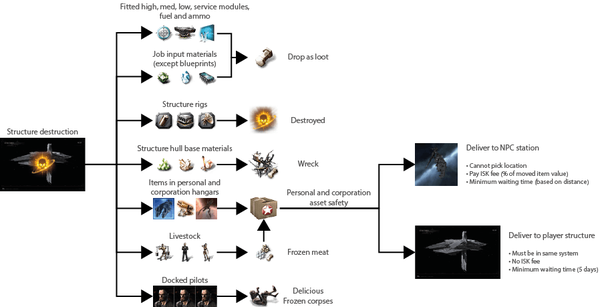 How can CCP do this and maintain a working lore perspective? We are often offered more player events and the perfect option in my mind would be a massive Drifter incursion to start attacking NPC stations. Dealing with their own internal defences and systems, the Factional Warfare alliances of old could simply dissolve, bringing us four-way Factional Warfare. An overnight change in politics which would result in years worth of player content and sandbox resculpting. Perhaps any displaced mission agents could be offered offices in the new player-built Citadels, although it is likely that we will see more NPC Citadels to house these mission agents. At the moment CCP are trying other things, like increasing NPC market service fees in an attempt to make Citadels more attractive to players. The substantial change here is sure to have its own unforeseen impact. I am not a market analyst, but the construction cost of Citadels is not that far beyond many player’s affordability already. As a result, capsuleers are going to be more involved in the future landscape of New Eden. Medium Citadels are designed to be used by solo players and small corps, and this will encourage a surge of deployment all over highsec. How many will it take for regions/constellations to have mass limits applied for deployment? This cap could be the only reason the wardec system will carry any value in the future. If the systems are not capped on mass deployment then they could be limited on fitted modules/services that can be deployed by players. At the time of writing no hard caps have been declared by CCP though. “The actions of a single player resonate throughout the entire gameworld, what matters most is that the experience was emergent, unscripted; because in the sandbox, all player actions – no matter how subtle or bold – always have an impact.” – A line from the Butterfly Effect video that I felt was appropriate. Going forward with Citadels, wardecs are not on CCPs roadmap. Maybe they don’t think it has to be, and that the destruction economy will carry on as normal, or they can already see a future of more explosions. Yet we still have new features, removed features and more to come that will affect wars in the future. The outcome of those changes will take some time to evolve in HS space, and CCP can only be in development of so much at any given time. When executing wardecs in the future, you should be prepared to face a Citadel. The wardec system has not changed, but that has not stopped other changes having a clear impact on it. Gone are the days of solo wardecs to kill a few indy ships found on your watchlist. Was trade hub camping your thing? They won’t need to come to that station any more with markets in their own Citadel or nearby. You will have to go after your content. The best opportunity to get ship kills will be in close proximity to a Citadel and the gates in system. Tethering and Citadel defences all support the defenders claim on the grid in an impressive way, there is no reason for defenders to fight elsewhere. The size of a wardec fleet will need to be able to handle the DPS of the Citadel as well as its defenders, while bringing enough firepower to speed up the process of reinforcing the structure and enough DPS to reach the Citadel’s damage mitigation limit. At this damage cap an assault should only take about 30 minutes. There are more changes to come from studying the CSM summit minutes before the full impact can be measured. An increased max targeting range for ships has been suggested, but not beyond a Citadel’s weapon range. That will provide more scope for engagement. Then there is Fozzie’s planned changes to force boosters on-grid, which could make these ships a primary target for Citadel defenders, when they are brought in to support attacking fleets. The prospect for a player group to control a highsec “Citadel Cartel” has been suggested, but this is just speculation. If players don’t use the cartel’s markets, how will this cartel ever get formed? The only option is open competition. As large as any group may get, it wouldn’t take long for an individual to set up a market and start messing with your carefully crafted empire. To stop them it will take a war. A considerable investment in besieging the competition, which could be tens of different groups. Without a mass cap on structure deployment, I can’t see the cartel option becoming possible. Large areas of null are blue to each other, with agreements not to attack each other’s structures. While this agreement works out there; highsec space is entirely different. Wars will be more localized and competing Citadels provide more than just a speedbump to the invasion power large blocs may have in highsec. If you are targeted however, the destructive power they can bring will be just the right amount to level your Citadel – eventually. They will also have to use the wardec mechanics. Something many of them don’t even understand, having spent so long in null surrounded by blues. Maybe the “Voltron” which highsec “carebears” could form if these bloc power wars start landing could result in the expected cartel the blocs want to control. The reality is that null will be busy dealing with null, while highsec is being fought over by hundreds of different corps with different interests and goals. Citadels will be much tougher in highsec, but not immune to war, or beyond the gaze of envious eyes. Citadels will be at the core of the wardec system. Large and XL Citadels fitted with market hubs will appear in the market data so there is very little need to scout for assets to attack. Some may attempt to set up a cartel and use 0% market taxes as incentive, but they will require the military might to maintain that stance. Locator agents will continue to be used – even without an “online” list – helping identify systems where players may have medium Citadels. I’m currently of the opinion that highsec Citadels are going to be pretty difficult to remove but not impossible. I’m not a big fan of how POSes litter highsec but they are tied to moons for deployment, whereas Citadels can be deployed anywhere in systems that allow their placement. By the time we come to realize the extent of this unlimited deployment, systems may be way beyond saturation. My prediction is, that wardeccers will become siege experts, future wars will involve more ships and more structures, and the economy will boom in an impressive fashion. All of this has put a spanner into the works of the WDP – which was always addressing old issues with the wardec system – but our sandbox has just been hit with a wrecking ball, and I worry CCP are not finished yet. 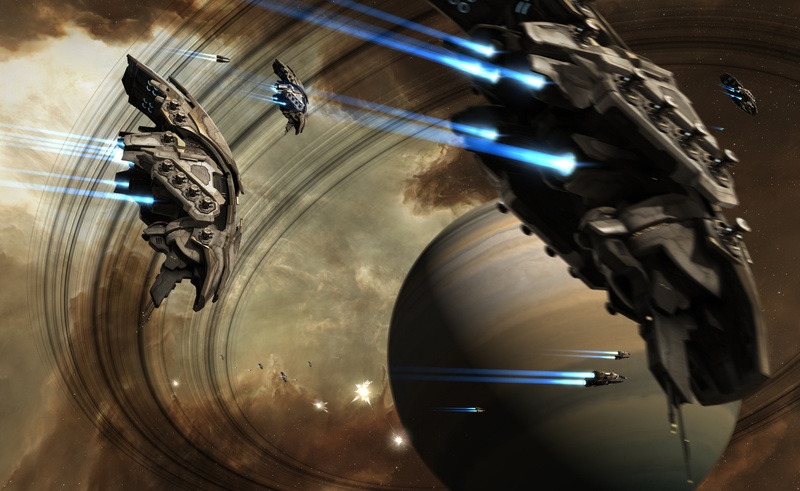 Jason Quixos has played EVE Online for just over 5 years. Having started in high sec with a successful war-deccing alliance, he has made several failed attempts at enjoying life in null sec. He currently has fingers in a few pies.